A walk through Little Assynt is always an enjoyable and interesting thing to do. 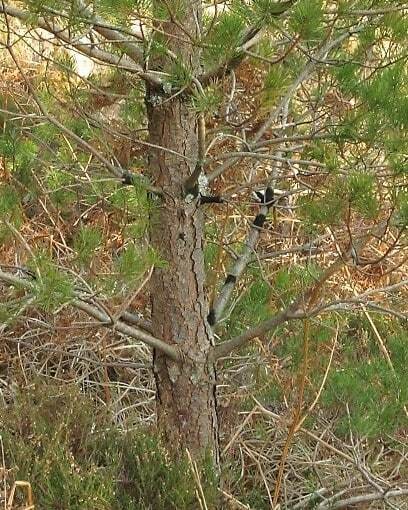 On 31 January 2014 David and Avril Haines, Culkein Drumbeg were getting near completing the loop from the All Abilities car park to the Little Assynt Tree Nursery when they spotted several small areas of black on a few branches of six pine trees. A closer look revealed what appeared to be clumps of small black disks which looked like caviar. Not sure if this was a fungus they took a sample which Ian Evans, Nedd passed to Professor Bruce Ing from Rhue near Ullapool. A few days later Bruce replied to say this was an ascomycete (cup fungus) called Chaetosphaeria myriocarpa which is a common species, but usually on fallen dead wood, not on parts of upright trees. 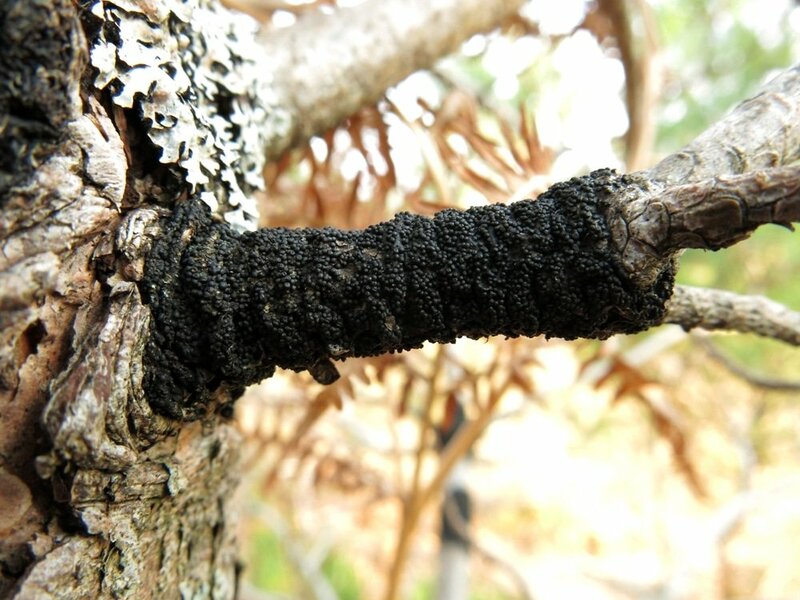 Further research revealed that this fungus only appears to have been recorded on the dead wood of broad-leaved trees where, as the photograph shows, this record was from very much alive pine trees. The late John Blunt from Nedd has only one record of this species in Assynt from over 5000 other fungi records and it was from near Loch nam Breac (NC1032) in 2000.